"Learn your part, and we will teach you all the rest." We welcome students of any age to JASNA-Eastern Pennsylvania. For those newly acquainted with Jane Austen, her novels, and her time period, we hope you find this page interesting, useful, and enjoyable. If you have questions about or suggestions for the student page, please email Miss Sharp. She was born December 16, 1775 and died July 18, 1817. She began writing parodies when she was fifteen. She finished her first novel, Lady Susan, when she was nineteen. She intended to become a published author. She received an offer of marriage but did not accept it. She wrote during the Georgian and Regency periods; she is not a Victorian author. She was not an entirely anonymous author, as her brother Henry could not keep her secret. She was educated at home by her father, an Oxford graduate. She dedicated Emma to the Prince Regent, at his request. She was friends with Miss Anne Sharp, a governess to her brother Edward's eleven children. Which writers admire Jane Austen, and what do they have to say about her? Samuel Beckett: Now I am reading the divine Jane. I think she has much to teach me. Vladimir Nabokov: At first sight, Jane Austen's manner and matter may seem to be old-fashioned, stilted, unreal. But this is a delusion to which the bad reader succumbs. Frank O'Connor: She is perfect in literature as Mozart is in music, and she gives me the same sort of feeling. But apart from that, she is the first of the great novelists. J. K. Rowling: Jane Austen is the pinnacle to which all other authors aspire. Sir Walter Scott: That young lady had a talent for describing the involvement and feelings and characters of ordinary life which is to me the most wonderful I ever met with. The big Bow-wow strain I can do myself like any now going, but the exquisite touch which renders ordinary commonplace things and characters interesting from the truth of the description and the sentiment is denied to me. Fay Weldon: She is not a gentle writer. Do not be misled; she is not ignorant, merely discreet; not innocent, merely graceful. What did Jane Austen read? Who were her favorite authors and poets? She read The History of Sir Charles Grandison by Samuel Richardson and the poetry of William Cowper, considered to be two favorites. In fact, she was an avid reader of a variety of poems, plays, and novels. From allusions to books and poems in her novels, as well as those she mentions in her letters, we know that she read Lord Byron's The Corsair. "I have read the Corsair, mended my petticoat, & have nothing else to do." She read Sir Walter Scott's poetry and novels. She mentions Fanny Burney's Camilla, Cecelia and Evelina, Maria Edgeworth's Belinda and Patronage, and Olimpe and Theophile by Madame de Genlis. She was highly entertained by the Gothics, such as The Mysteries of Udolpho, written by Anne Radcliffe, who could be called the Stephen King of her day. And she also read travel books and essays. "I am reading a Society octavo, an Essay on the Military Police & Institutions of the British Empire by Capt. Pasley of the Engineers, a book which I protested against at first, but which upon trial I find delightfully written & highly entertaining." 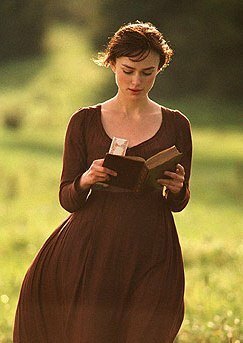 Try reading something Jane Austen read, after you read all Jane Austen wrote. JASNA's literary journal, Persuasions, is dedicated to furthering the study of Jane Austen. It is published annually and mailed only to members. However, there is an online version for all to read and appreciate. Which biography would be the best to read? There are many fine biographies, acclaimed for different reasons. Region members, polled in 2006 about their favorites, compiled this list: Jane Austen: A Literary Life by Jan Fergus; Jane Austen: Her Life, The Definitive Portrait of Jane Austen: Her Life, Her Art, Her Family, Her World by Park Honan; Jane Austen by Elizabeth Jenkins; Jane Austen: A Life by David Nokes, Becoming Jane Austen by Jon Spence; and Jane Austen: A Life by Claire Tomalin. Visit the JASNA website to read a brief biography. It's true that any Jane Austen book is better than any Jane Austen movie, but movies are excessively dirverting. 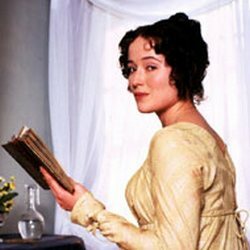 Visit JASNA's movie page to learn about Jane Austen-related movies. While you're reading Jane Austen, you may want to consider some questions posed and posted by PBS as part of their Book & Film Club Guides. Which edition of Jane Austen's work is the best? Probably no edition can be called the single best, but there are excellent editions to own. Which edition you purchase depends entirely on how much "pewter" you have at your disposal. The Chapman edition is a favorite of long-standing among JASNA members. Recently, the Cambridge edition, which requires more pewter than most, has gained favor. The economically priced Broadview edition includes excellent essays and notes and is perfectly suited for financially challenged students. The Norton Critical edition is another favorite, because so many JASNA scholars are editors. Only recently, the Harvard University Press has published annotated versions of some of the novels. If you purchase an edition that includes Austen's novels, the Juvenilia, and novel fragments, as well as the poems and prayers, you will havesave the lettersall that Jane Austen wrote. Jane Austen's letters, edited by Deirdre LeFaye, should always be added to whichever edition you choose in order to make your collection complete. And you may hope, as the rest of us do, that something new will be discovered. The Jane Austen Society of North America and its regional affiliates are committed to fostering the appreciation of Jane Austen's work among students. Each year, JASNA sponsors an essay contest for high school, college and post-graduate students. As part of JASNA's Annual General Meeting (AGM), the J. David Grey Young Writers' Workshop, open only to high school students, is held in the Host City. Will it be held in your city this year? Visit the JASNA website to find out. Be sure to LIKE us and FOLLOW us. Interested in joining JASNA? Learn more about membership. If you would like JASNA-Eastern Pennsylvania to host a Jane Austen Workshop at your high school, email Miss Sharp to inquire.